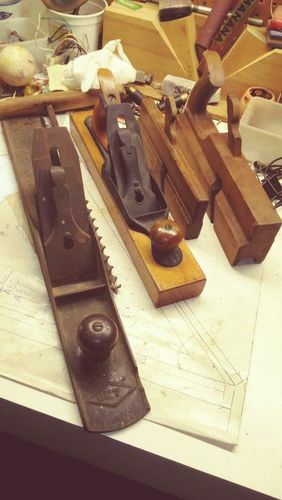 I found these old planes for sale online and I’m trying to figure out if they are worth getting. The photos are what was posted online so forgive me for the bad quality. The next I think is a no. 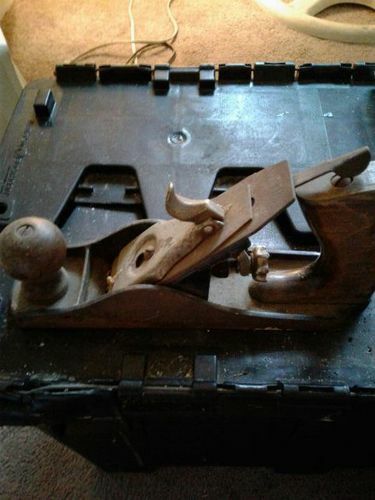 7 jointer plane. The plane number on the toe has a diamond shape cast around it and I’ve never seen that before. Run away from that smoother, it’s a stamped steel frog variation that will frustrate you forever. 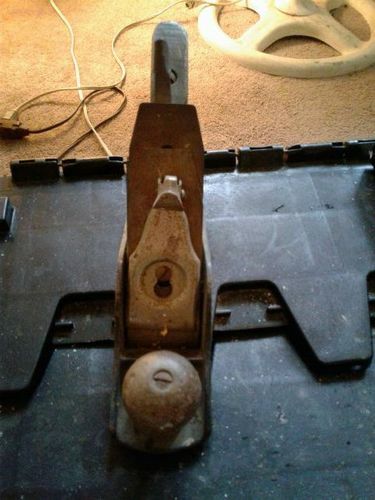 It’s maybe a $5 curiosity, but it’s not a serious hobbyist tool. The diamond emblem No. 7 is “Diamond Edge,” a Shapleigh hardware brand likely made by Stanley but they had more than one mfgr over the years. Looks good, but the hard rubber tote needs to be replaced as the horn is broken (typical on DEs). The others look like one transitional jack, one skew rabbet plane, and one nosing plane. Of all them, I’d consider the skew rabbet first, then the No. 7 DE. I’d leave the rest to others. Thanks for the reply. I figured the smoothing plane was junk. That frog looked pretty flimsy. 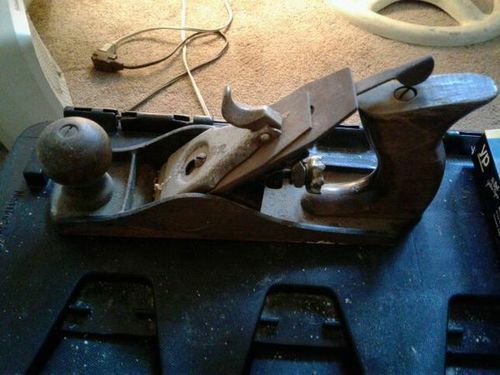 I really want a jointer plane so I might get that. Might be tough to find a new rubber tote though but I’ve never looked so what do I know. 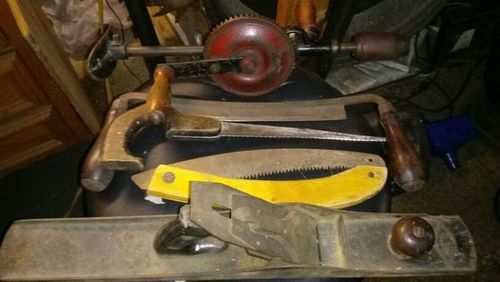 I’d suggest you can make a tote with some simple tools OR scavenge one. What’s on it will certainly work, too (shouldn’t have said it ‘needed’ to be replaced…). I agree with Smitty, but you can also fix the tote with some epoxy and patience. Just mix some colored epoxy in a mold, with the tote in it. When it hardens shape it. I’ve never tried it because I’d prefer wood, but it’s an option.